First Light is an Unbound book, initially paid for by its subscribers. Because the book has to sell before it’s published Unbound have to do a great deal of pre-sell publicity, and it certainly helps if the author, or subject, is famous. In this case – First Light: A Celebration of Alan Garner, edited by Erica Wagner – the subject is famous (if you’ve read any of his novels: I was stunned to discover that my husband hasn’t, so his pile of books-to-be-read is now substantially larger than it was). The editor is famous if you’ve read any of her novels, or any of the newspapers or magazines that she writes for. But, even if one wanted to buy the book because one liked The Weirdstone of Brisingamen, or Wagner’s book reviews for The New Statesman, outside these two groups there is a gaping hole, and into the hole a host of celebrity contributors have been poured. If writing by a Big Name is printed in a book supporting a Lesser Name, then all the Big Name’s fanbase will flock to buy the book, or at least tweet about their intentions of so doing. This is the third Unbound selling strategy. 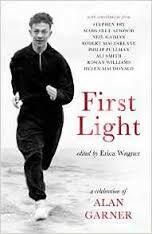 First Light is an exceedingly handsome book (though, annoyingly, it lacks an index). It’s a deeply absorbing collection of 43 essays and poems, a Robert Macfarlane word-map and Cornelia Funke’s unexpected illustration of Garner as the Horned One. It creates a fractured kaleidoscopic picture of Garner, packed with surprises. He was the teenage sprinter who did his training with Alan Turing on Alderley Edge. He was a promising young classicist who left his hard-won place at university to learn how to write. He is the descendant of generations of stone-workers who have lived in the same place in Cheshire for hundreds of years. He rescued a medieval hall, and moved a Tudor cottage 16 miles to join it. He carried an oak shovel around in his kitbag for four years during his National Service, worried that if he didn’t have it with him it might disappear again, as it had in his infant school, and in the mine down the road where the Victorian miners dug it up. It was later carbon-dated to the Bronze Age and still works perfectly well. Things get dug up in his own garden all the time. He also wrote novels. 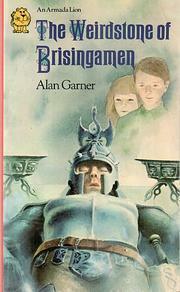 The Weirdstone of Brisingamen and The Moon of Gomrath captured me before I was 12, but I never really liked The Owl Service or Red Shift, though we had to read them at school. I inexplicably missed out on Elidor, but devoured The Guizer, The Stone Quartet and A Bag of Moonshine. As an adult I returned to Garner when I found Strandloper and Boneland high and dry on a bookshop shelf (I reviewed them two years ago for Vulpes Libris). 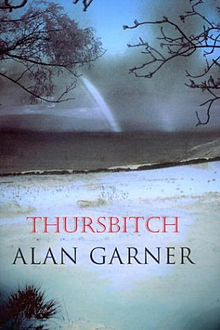 I’ve got Thursbitch and The Voice that Thunders on my reading list now (with Elidor). If nothing else, First Light has given me a much better grip on what other Garner works are out there that I should be reading. The essays that really spoke to me are the ones that told me more about the books I know, or now want to know, by how they worked on other readers. Helen Macdonald and Rowan Williams’ poems do this. Neil Gaiman’s observation about Boneland makes complete sense of the whole Colin and Susan saga for me: that there is a missing third novel that hasn’t (yet) been written, preceding and explaining the terrifying, schizophrenic anguish of Colin’s search for his sister in the Pleiades. I’m so tired of Stephen Fry’s multiple appearances in every medium, but what he says about Garner’s writing rings true: Garner is a writer who trusts his readers. Ali Smith’s recollections of seeing The Owl Service on TV, Philip Pullman’s carefully-chosen words about the moral relationship between craft and writing, and Margaret Atwood’s totally bonkers story about a people-skinning raccoon – these are the Big Name contributions to draw the unGarnered reader in, to find out what their heroes think of him. It’s unclear what the Atwood story says about Garner or his writing, but what anthology editor is going to refuse a short story from Margaret Atwood? Perhaps it was simply a present. Less well-known names (unless you’re into archaeology or professional storytelling, for example) give revealing recollections of how a Garner book did things to their mind, or how he popped up in their professional or private lives one day holding a thing of wonder to show them, and how he has never left. There is pain in some essays, that articulate how Garner’s writing works as healing and therapy. These moved me: seeing behind the public frontages of these Big Name authors lessened my dislike for their writing. There are also New Big Names included who were presumably asked to write something because they are so hot right now. There are So-So Names who get in because they are part of the London literary scene, on the spot for commissioning because they move in the same circles as the editor, or in Unbound’s orbit. Many of these contributions were uninteresting, being not much more than ‘My favourite Alan Garner book and why’, which we can all write ourselves. At least one was a regrettable froth of self-indulgent twaddle. The most memorable essays are those by specialists pointing out something hitherto unnoticed or remarkable that Garner has said or done, and the people from Garner’s life who have no particular public presence, whose biographical stories prevent the book slopping into woolly mush. It might so easily have gone that way, had it merely been a luvvy-festschrift (which is good, because Garner is absolutely not a luvvy). Despite all the necessary publicity and puffery needed to get this book off the ground, it’s a great addition to biography. I’m glad I subscribed. Thanks for sharing this insightful article. To my mind Garner is part of an underground movement in British writing. His writing sources hidden lore and invokes the power of the land. Others in the fabulous realm of subversion include Wynne Jones, Gaiman, Susanna Clarke and Mary Norton. Their centrifugal force lies in the reclamation of folk mystery from obscurity and in many cases wedding it to quantum multidimensional theory. It provides an escape from anodyne dominant culture. In your piece I particularly enjoyed the analysis of marketing strategies, and hearing of Garner’s background. 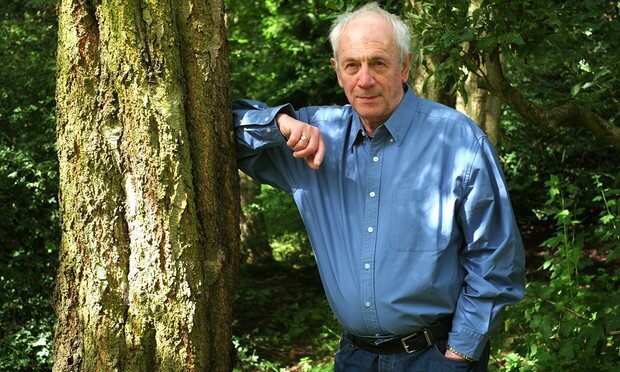 His vision of Derbyshire and Chester feel rooted in the grounded relationship between writer and land.